As worldwide demand for palm oil rises, palm fruit cultivation and processing have also increased – especially in Indonesia and Malaysia, which account for 86 percent of the world’s supply. However, the expansion of palm oil has resulted in significant greenhouse gas (GHG) emissions from land preparation, fires, and ongoing production. 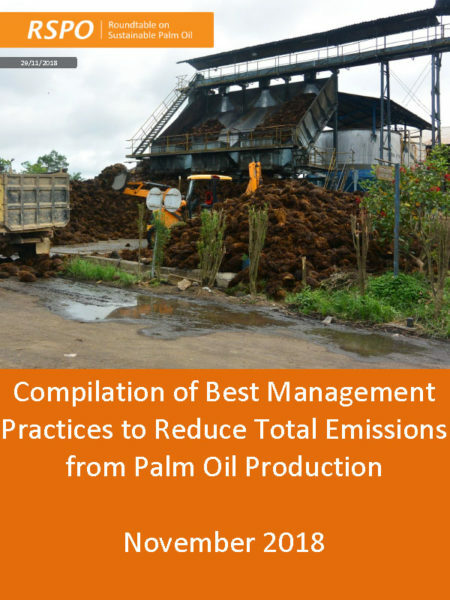 This project aims to identify best management practices (BMPs) for reducing emissions in the palm oil industry. 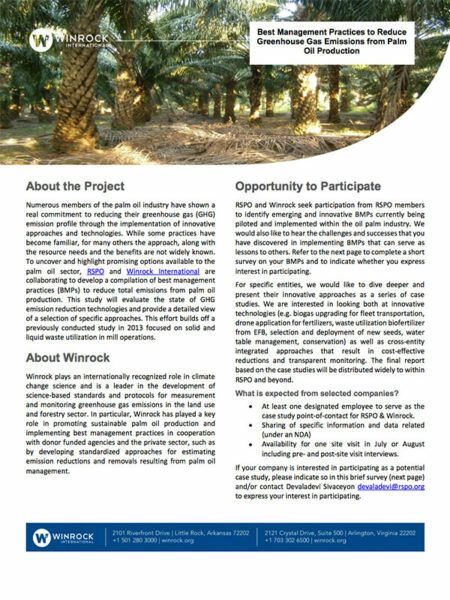 In conjunction with five to seven case studies, the project will prepare a corresponding report analyzing the current state of BMPs and providing recommendations to the industry.